As we have been expecting, a coalition comprised of industrial food, Big Ag and chemical corporations made an announcement supporting a federal voluntary GMO labeling initiative. This “initiative” only accomplishes more of the pro-GMO corporations’ goal of keeping everyone in the dark. Seems we in the farm food freedom movement have hit a nerve. We must be on the right track. This announcement reinforces the need for us to stay the course and keep up the organized popular response. 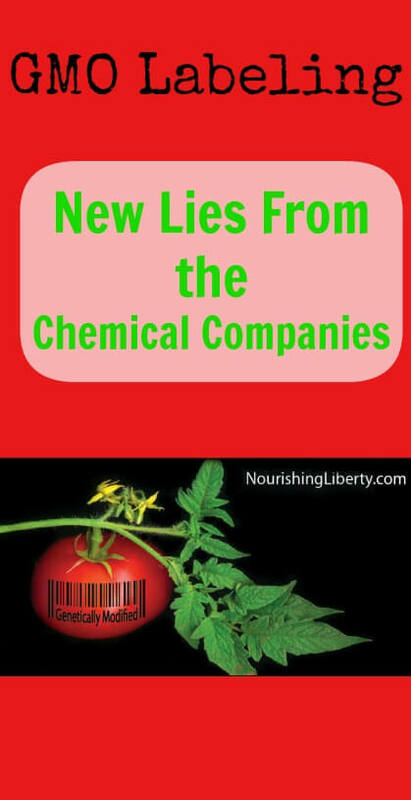 Companies that manufacture the chemicals used on GMO crops and those that process GMOs into our food—the ones behind the “coalition” above, are not about to slap on a “voluntary” label with any meaningful standards. This announcement is a vicious threat, a war cry, a line in the sand and should be treated as such. They are about to unleash the largest disassociation campaign in human history, possibly spending upwards of $500 million. This is not a joke. People who care what is in their food should not expect to see full disclosure regarding a food’s GMO content any time soon–if ever–should this coalition have its way. We have to work with the current reality, which is this: federal regulatory agencies control our food supply, supposedly on behalf of the taxpayer. In fact, these agencies act primarily to protect the profit margins of the industries they purport to regulate on our behalf. Crony capitalism provides tax-payer funded subsidies for what the consumer does not want to pay for. We have to remember, the GMO labeling debate is not a war between farmers. Most small farmers are struggling to stay afloat, whether or not they grow GMOs. Vilifying farmers or pitting them against each other only serves to move the dialog away from our common goals and reduces our chances of achieving meaningful results. We must be cautious of the divisiveness this can lead to. So what is the solution to this level of deception? While some companies have gone the extra labeling mile, most companies do not even provide accurate information to the customers they depend on. Not addressing the real need for GMO labeling is flawed. Asking questions, again and again and again, opening this dialogue, bringing light to the issue, this is the beginning of the solution. Our voices will rise and actions will follow. Labeling alone will not solve the rampant problems associated with GMOs which include environmental, health and economic hazards. The solution will be realized by our actions, our actions fueled by information. Sometimes that information comes from a label. More often, it comes from sharing facts and science with each other. With the coalition’s plans finally on the table and out in the open, we cannot wait for that eventuality; we have power now and can take steps toward meaningful change immediately. With this new challenge in place, we must make extra effort to show how important this information is for us by making informed buying decisions. We must take as many of these actions as we can and ask our friends and neighbors to do so as well. We have more power to affect change in this arena than many of us recognize. By working with local producers, asking what they use, supporting their transitions to non-GMO products, supporting your local non-GMO producers and growing some of our own food—we create real on-the-ground solutions to the problem of GMO labeling, or lack thereof. Our next steps are clear. What is needed is a large, vocal, continuous, outcry, a boycott the system, tear down the walls, “I’m not going to take it any more!” attitude from the public. Be upset! Be outraged! Take a stand! Get connected, use your voice, make a difference. Change the world. I’ll do that! Thanks for reaching out. I appreciate your work. i hope that the truth will keep getting out. I also encourage people to buy GMO free and organic foods though it cost a little more, but it is well worth it. This is what I am seeing. You or your family won’t go to the doctor as much. It won’t take as much to nourish your body. You will feel better inside knowing you are trying to do your best for yourself and your family.